Whether you are an interiors obsessive, or you are doing up your home and looking for some inspiration, interiors blogs are fantastic resources. There’s something about seeing the process somebody else has been through to make you feel like you can really tackle that project you’ve been putting off, and that’s where interiors blogs come in. So whether you’ve got a room where you’re struggling to think of ideas to bring to life, or you’re looking for some DIY tips, we’ve pulled together 25 of our favourite interiors blogs to share with you! This blog is a great collection of all the best homes and interiors from around the internet. They also have a really great feature called pets on furniture! Kim and Jo who run the blog have been sharing their interiors passion with each other, as well as the internet, for ten years and have grown Desire to Inspire into a fantastic corner of the internet. 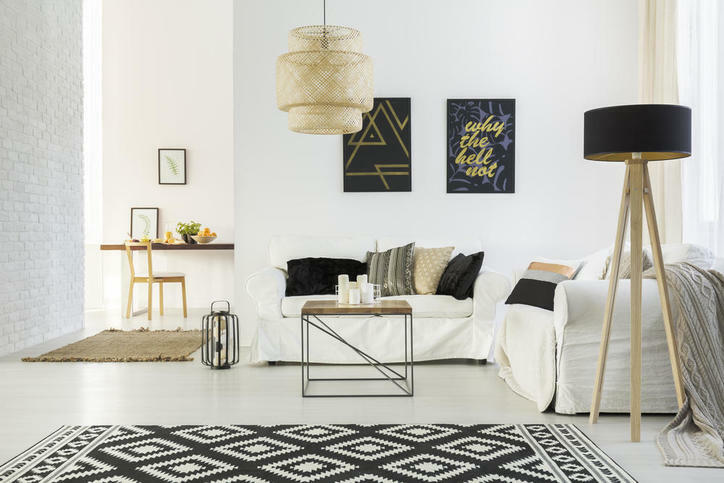 One of Norway’s most read interiors blogs, Stylismo was started by Nina who runs it as a hobby, but now she blogs full time! It is a great one to follow if you love Scandi style and showcases everything from her own home improvements to what she has been inspired by. Newlywed Kate runs a lifestyle blog, but one of her specialities is definitely interiors. Her interiors category boasts advice on decorating as a couple, and plenty of advice for keeping plants alive, which is something we can all find useful. If you love image heavy posts full of bold colours with plenty of focus on the details, you need to give Old Brand New a follow. Dab who runs the blog is a fine arts major, and has such incredible taste! 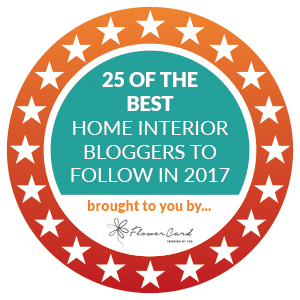 This award winning interiors blog is UK based and covers everything from tips on how to stage your home if you’re selling up, to reviews and design tips, all laid out and categorised neatly. Hege in France was started while Norwegian-born Hege was living in France. She and her family now live in the UK, and she continues to share her passion for design and interiors with us. Sophie shares her 20 years of interior design experience with us on her blog, and she puts a big emphasis on colour. We loved her work on a DIY SOS project to transform the lives of a family with special needs! Definitely one to follow if you love watching homes be transformed, The Inspired Room has been going for a decade and is just what you need to inspire you to tackle your own home improvements. If anybody embodies the saying: “If you want something doing right, do it yourself” it’s Brittany, who runs Pretty Handy Girl. She has taught herself some serious DIY skills and even undertaken some pretty major renovations. When you’ve been pulling your house apart and putting it back together for seven years, you become something of a dab hand at DIY and making spaces beautiful, which is exactly what Sarah who runs Ugly Duckling House has been up to! For super easy but stylish DIY projects to update everything from your makeup storage to planters, you need to give Caroline Burke a follow. This interiors and lifestyle blog is written by Olivia who is UK based and shares updates with us on her home, as well as food and travel posts, and if you’re lucky you might glimpse her lovely dogs! As well as sharing pictures of her own home, Sarah who runs Coco Lapine Design also shares plenty of the things that inspire her, and her style is beautiful. Amber is a professional interior designer and runs her own design company. She shares client before and afters with us on her blog, as well as tips and inspiration! Kristine who runs the Painted Hive is a perfectionist, and this really shines through in the professional looking finish of all her DIY projects, which she shares with us. A great one to follow for genius ideas that will upgrade your home on a budget! This is a great one to follow for ideas on everything from how to style a shelf, to the times it’s acceptable to repaint wooden furniture. Holly Marder began Avenue Lifestyle and is a stylist, blogger and photographer. She recently partnered with her good friend Hedda Pier, who is an interior designer, and together they are building upon what Holly started in 2011 and sharing their work with us. You’ve no doubt already heard of Apartment Therapy, but we couldn’t leave it off a list of the best interiors blogs! One of the best sources of inspiration when it comes to transforming spaces, and definitely one to follow if you don’t already. John and Sherry have fixed up three of their own homes, so it’s safe to say they know what they’re talking about when it comes to creating a wonderful space to live in. A great one to follow for interiors posts of all kinds. The home of boho glam, Swoon Worthy is run by Kimberly, an unashamed maximalist who loves her home to be bold, and mixes fabulous patterns and colours for an eclectic style. Follow if you want to achieve a high-end look without the price tag! Abigail’s style really sets her apart from the rest, as she isn’t afraid of the dark when it comes to colour. One of the most influential interiors bloggers in the UK, and definitely one to follow for cosy and glam. Perfect to follow if you love the Nordic style, My Scandinavian Home is exactly what it sounds like. This blog is a collection of beautiful and simple design and interiors, whether it’s Niki who runs the blog’s own home, or those she finds inspiring. Best design inspiration blog of 2016 according to the Amara Interior Blog Awards, Forward Features, this one was started by David and Mark to document their journey of finding and building a home together. Gwen likes to make anything and everything except dinner, and has been doing since a young age. She shares the things she makes in her home with us on her blog, and she’s a dab hand. This is the perfect blog to enable you to take on projects that transform your home without breaking the bank. Melanie has taken a hands-on approach in her own home and shares so many great tips to help you do the same. We hope this has given you some great resources to follow if you are on a mission to create a comfortable and peaceful space in your home to suit your personality, no matter what your style or budget!